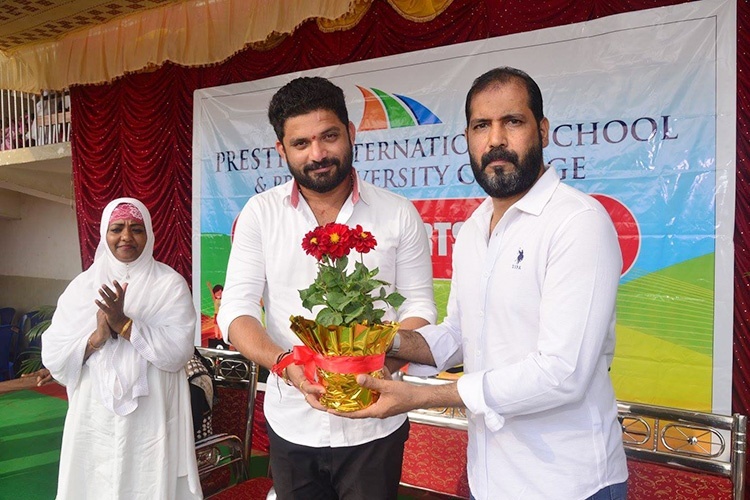 The much awaited PRESTIGE International School Annual Sports Day 2018 was held on Saturday 28th January. The students entered into the spirit of the sports in a grand way with Dakshina Kannada Youth Congress President Mr. Mithun Rai honouring the occasion as the Chief Guest and taking the salute of the impressive March Past by grade 8, 9 and 10. 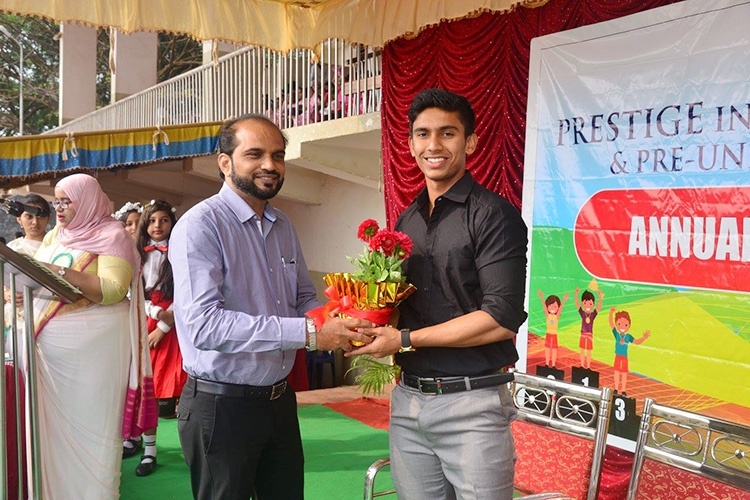 He also stressed on the importance of nurturing young talent as each child is unique.The Sports day was declared open by Guest of Honour Mr. Suraj Karkera International Hockey Goalkeeper who encouraged budding athletes to follow their dreams. Peppy dance drills by grade 3 ,4 and 5, an energizing exercise drill by grade 6 and 7 with the name ‘PRESTIGE’ set the tone for the rest of the event. Once the Race began, the air was filled with cheering and tons of encouragement for the young athletes. Fun time with special parent gamed added to the enjoyment. The day concluded with the prize distribution ceremony for events, individual championships and House championship.